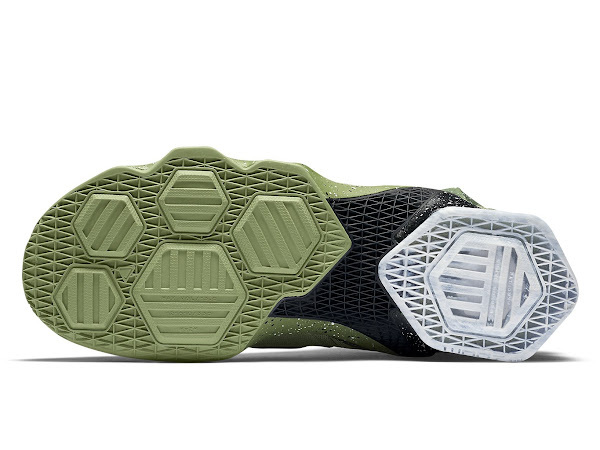 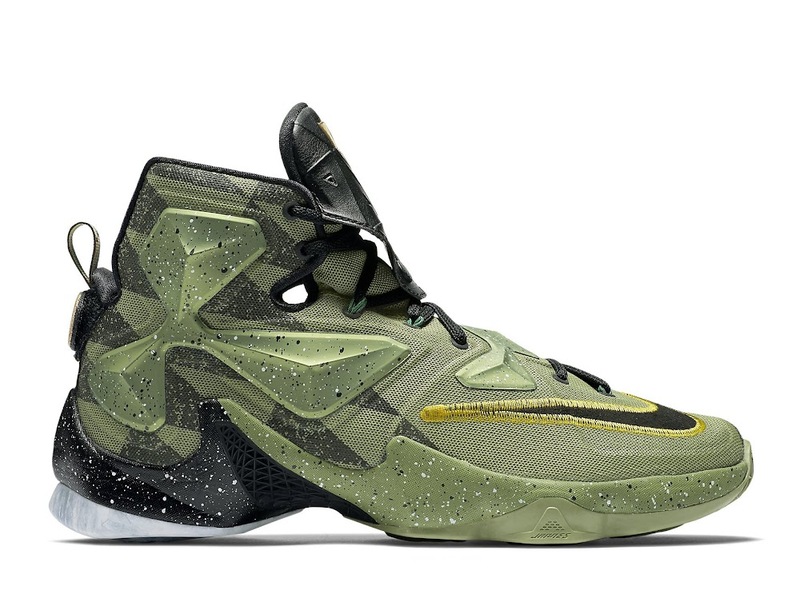 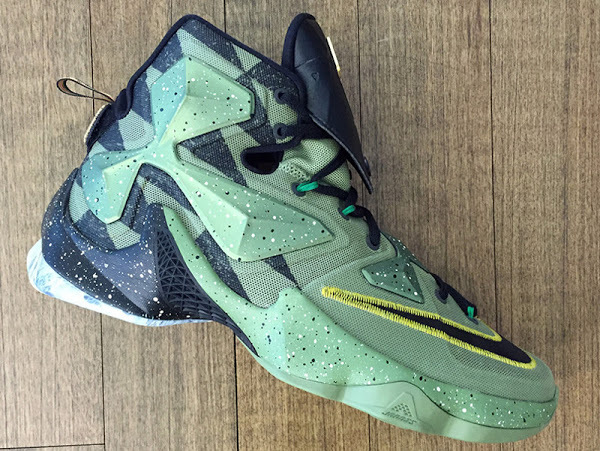 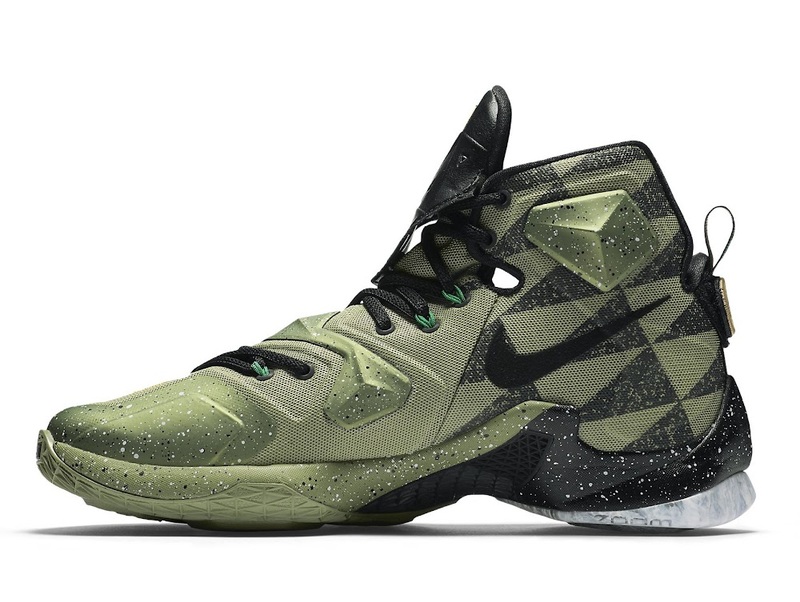 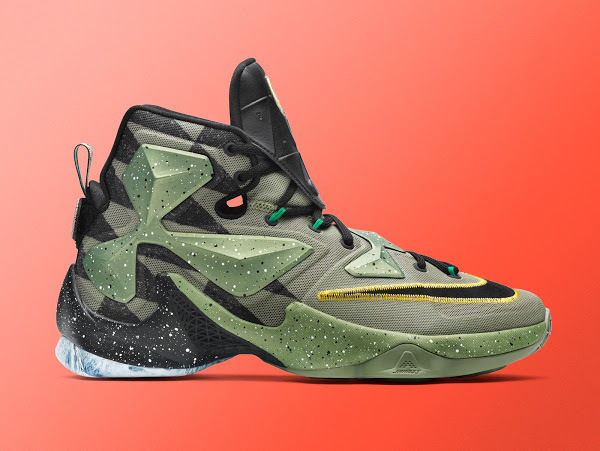 Sporting the neutral tones of Toronto’s winter… a green upper with black and additional marble effect on the outsole… the “All-Star” LeBron 13 has just been released at Nike Basketball retailers. 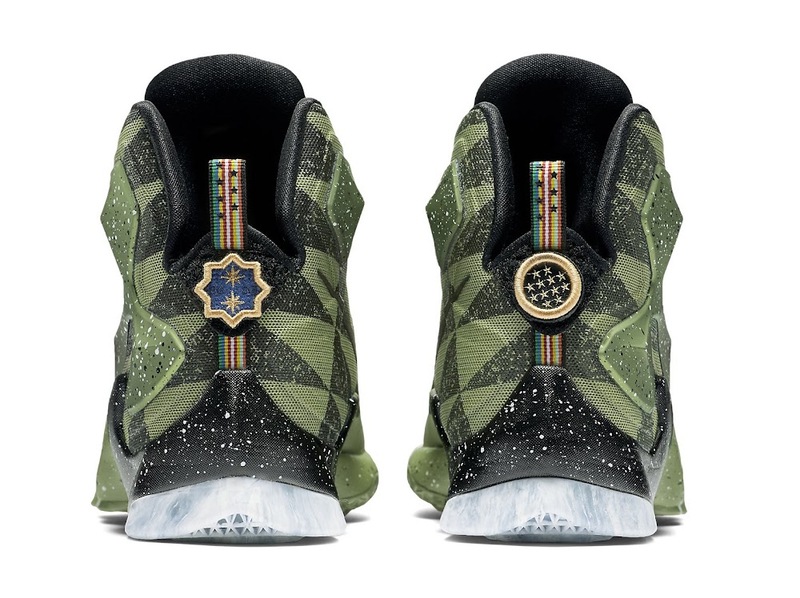 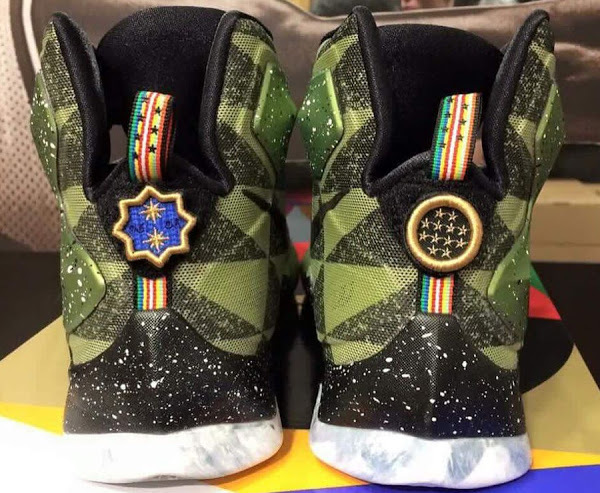 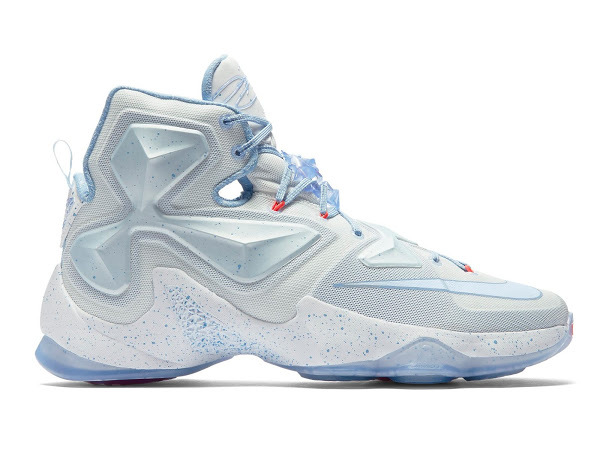 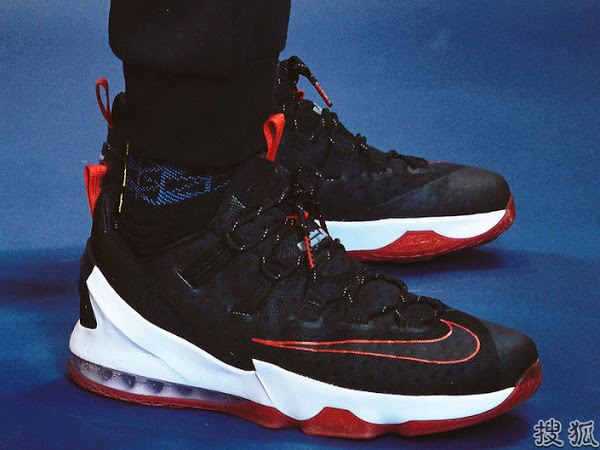 Unfortunately LeBron James’ special 2016 NBA All-Star Game edition of the LEBRON XIII also means a higher price tag of $220. 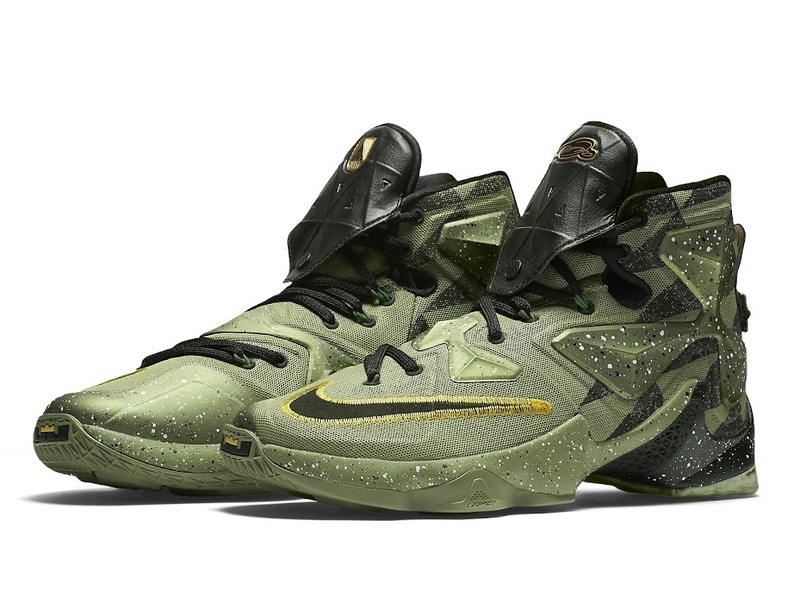 Check out the official images below and head over to the gallery for more looks.